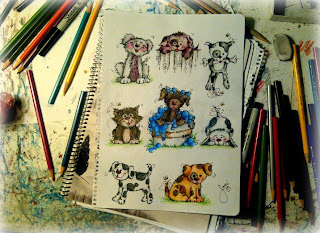 Pop Art Minis: And They Called It Puppy Love...Wagging Tails & Smiling Faces! 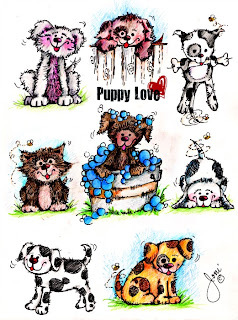 And They Called It Puppy Love...Wagging Tails & Smiling Faces! My little puppies are definitely my best friends! They are always waiting at door for us when we get home and if you ever need a partner for a nice little stroll they'll be there in a flash! 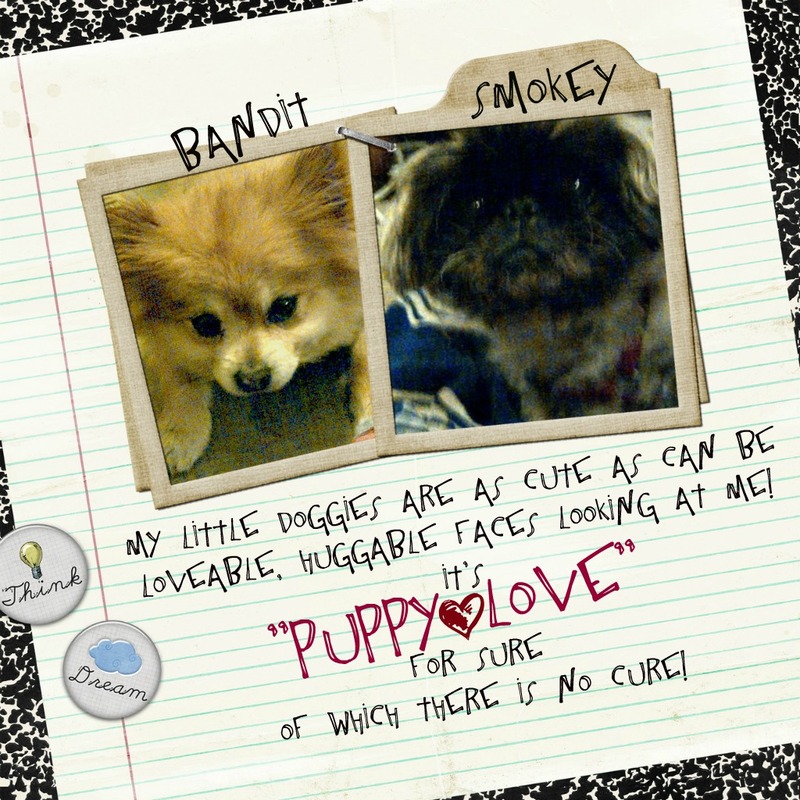 So with a little inspiration from my two cutie pies, Smokey and Bandit, here's a whole page of Puppy Lovin' Pop Art Mini style! To cleaned up sketches "sharpie-marker-fied!" (hmmm...wonder if that will make it into the Urban Dictionary?) 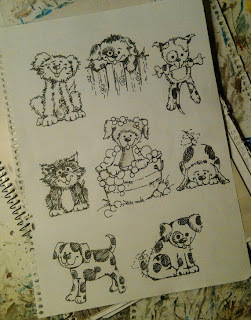 I think these little ones might make cute rubber stamps...what do you say? Yay or Nay? 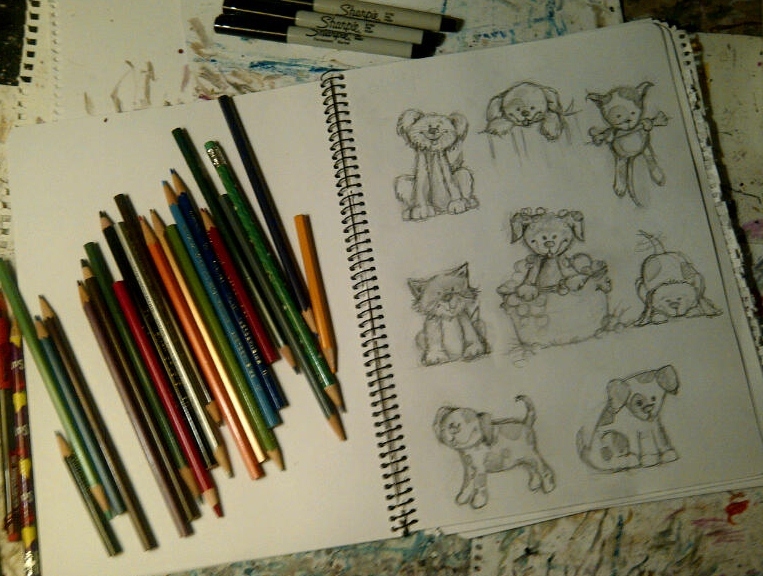 To the colored pencil sketch on my "for sure" messy desk. And without further ado...Puppy Love shared with you! I'm thinking maybe some cute kittens might show up on the doorstep next...do you think the puppies will approve? 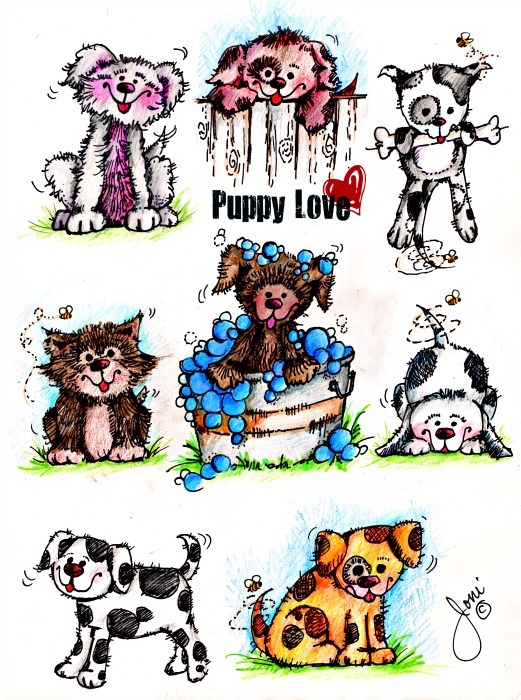 How cute are those puppies - LIVE and drawn! I agree - they would make AWESOME rubber stamps for sure! Oh so cute!!! Yes kittens would be a lovely addition. Who can resist puppies and kittens? 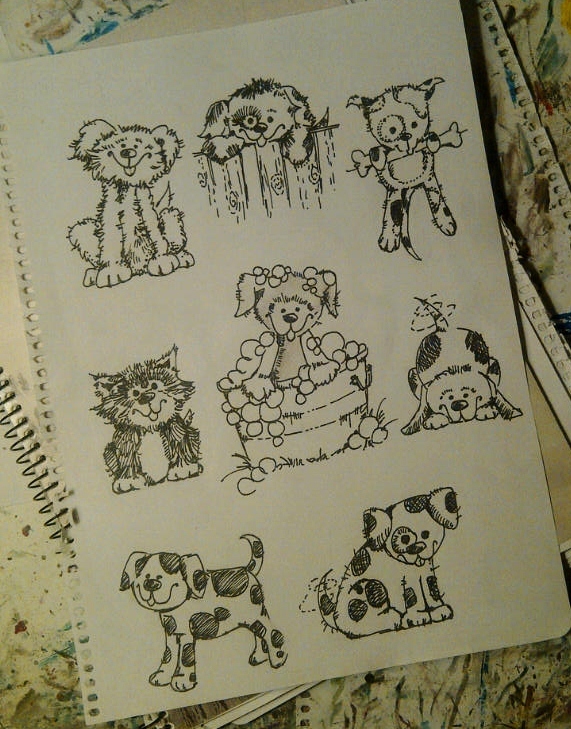 They for sure would make great stamps. Do you make your own stamps too?